The cost of a college education can be a key factor in choosing which school to attend. At Holy Apostles we are committed to helping students plan how to cover the cost of attendance at Holy Apostles. Holy Apostles provides quality education at a price that is affordable for all of our students. The tuition rates listed below are the same for both On Campus & Online courses. For a complete breakdown of tuition rates, please refer to this tuition guide. For a quick method of estimating tuition costs, please use our Net Price Calculator. In order to be considered a full-time student, for Undergraduate students, 12 or more credits must be taken per term (with 12 completed). For half-time students, between 6 and 8.5 units must be taken with 6 completed per term. Federal regulations require that academic progress be monitored for all periods of enrollment whether or not you have received financial aid. Holy Apostles changed this definition so that students will have the time to dedicate to learning the basics of their discipline (i.e., Theology, Philosophy, or Pastoral Studies). Once they have mastered the basics, Holy Apostles believes the reduced course load will encourage students to complete a more thorough study of each topic in their discipline. Federal regulations require that your academic progress be measured toward completion of a degree program. This occurs at the end of each semester and applies to all periods of enrollment whether or not you have received financial aid. After your academic progress is evaluated, your SAP status will either be Satisfactory, Warning (Probation), or Suspension. Maintain a 67% (credit) Completion Ratio (the required percentage of credits successfully completed relative to the total number of credits attempted). For purposes of calculating the Completion Ratio, grades of A, B, C, D, and P are considered complete while grades of F, WF, W, and I are considered NOT complete. Credits attempted are defined as the number of credits that will appear on your permanent academic record. you will not be eligible to receive financial aid until your SAP ratio is in the satisfactory range. If you are suspended due to not meeting Minimum Standard Requirements while on Probation AND had extenuating circumstances beyond your control (federal regulations specify these as ‘student illness or injury, or death of a relative’), you may submit an appeal. To appeal, submit a SAP Appeal Form WITH official supporting documentation explaining the extenuating circumstances as described above. Students may be approved for a Minimum Standard Requirement Appeal only once while at Holy Apostles College and Seminary. Appeals are not automatically approved and will ONLY be considered for extenuating circumstances. If you did not have extenuating circumstances, your status will remain SUSPENSION. You must successfully complete at least one semester without financial aid and may request REINSTATEMENT the following semester provided SAP requirements are now satisfactory. If your appeal is APPROVED, your status is Probation and you can receive financial aid; however it is not retroactive. If your appeal is DENIED, you must successfully complete at least one semester without federal financial aid. You may request REINSTATMENT the following semester. Complete at least 3 degree applicable credits and meet Minimum Standard Requirements. Meet with the Academic Dean and obtain an Educational Plan. Submit a copy of your Educational Plan with a Request for Reinstatement form to the Financial Aid office. Once you have met these requirements, your status will be Probation and you will be eligible for financial aid consideration. You may only receive aid for up to 150% of your academic program. This is called your Maximum Time Frame. If you reach the Maximum Time Frame for your program (see chart below) you will be on Suspension. If you have reached the Maximum Time Frame for your program and have continuously met Minimum Standard Requirements but have classes remaining to meet your goal, you may appeal for an extension. Please note that extensions may not be granted for changes in majors or multiple degrees. Meet with the Academic Dean and obtain an Educational Plan that clearly states your academic goal, what remaining classes you need to obtain that goal and a completion date. Submit a copy of your Educational Plan with a Maximum Time Frame Appeal form to the Financial Aid office. Students may be approved for a Maximum Time Frame Appeal only once while at Holy Apostles College and Seminary. If your appeal is APPROVED, your status will be Probation and you will be given a specific length of time to complete your program based on your Educational Plan. While on Probation you must meet Minimum Standard Requirements throughout your extension period. If you do not, your status will be Ineligible and you will no longer be able to receive aid at Holy Apostles. If your appeal is DENIED, your status is Ineligible and you will no longer be able to receive aid at Holy Apostles. What if I’m placed on Probation? We strongly suggest you take a manageable course load. If you do NOT meet the Minimum Standard Requirements during your probationary semester, you will be placed on Suspension. If you are on Probation due to a Maximum Time Frame Appeal and do NOT meet Minimum Standard Requirements and/or you have reached the extended time period given when your appeal was approved, your status will become Ineligible. No correspondence will be mailed notifying you of this change in status. What if I’m on extension due to a Maximum Time Frame Appeal and do NOT meet Minimum Standard Requirements? If you are on a Maximum Time Frame extension and do NOT meet Minimum Standard Requirements and/or you have reached the extended time period given, your status will become Ineligible. No correspondence will be mailed notifying you of this change. Once you become Ineligible, there are no further appeals and you will not be eligible for Reinstatement. How do I avoid Suspension? What if I’m placed on Suspension? You may Appeal one time only. Students may receive Title IV aid for any repetition of a course as long as the student has never passed the course. However, once a student has passed a course, the student may receive Title IV aid for only one retaking of that course. This retaken class may be counted toward a student’s enrollment status. During the first week of classes, a student may withdraw from classes by notifying the Academic Advisor. After this period, the student must receive permission from the Academic Dean. A student must fill out an Add/Drop form, located in the Registrar’s Office, to withdraw from a course. Failure to attend a course does not serve as Official Withdrawal. A student may withdraw from a course until the first Friday of the semester without notation on the transcript; until the third Friday and receive a notation of “W”. Any student withdrawing after week five receives an automatic “WF.” W grades are not used to calculate grade point average and are not included in the count of attempted credits. WF grades are not used to calculate grade point average but are included in the count of attempted credits. Beyond the fifth Friday a student may not withdraw from a course without written permission from the President/ Rector and the Academic Dean. A student who does not attend a course and does not fill out an Add/Drop form will receive a grade of “F”. In a case where a student has been academically dismissed from the College Division program, he or she may apply for re-admittance after a minimum of one academic year. For undergraduate students, transcript(s) for at least one academic year from another accredited, college level institution must show the student has earned a minimum G.P.A. of 3.0 (out of 4.0) since being academically dismissed from Holy Apostles. For graduate level students, the G.P.A. earned must be a minimum of 3.0 (out of 4.0). Students who wish to apply for re-admittance to Holy Apostles should petition the Office of the Academic Dean in writing, and have transcripts forwarded to the office. The Academic Senate will review each case and make a decision. Holy Apostles reserves the right to refuse re-admittance to any academically dismissed student. A student dismissed from the Seminary Division program will not be considered for re-admittance for a minimum of two years. With the permission of the instructor, students who wish to take a course at Holy Apostles for personal interest, and are not interested in receiving credit, may audit courses. Students auditing a course are expected to regularly attend class and do all relevant readings. Audits are recorded on transcripts and receive a lower tuition rate. Students are not eligible for financial aid for courses being audited. Holy Apostles operates with the understanding that students may have responsibilities that interfere with school. In some cases a student may have to take an entire semester or more away from his or her program. While this poses no problem for Holy Apostles, students must understand the need for Holy Apostles to retain consistency in each academic program. Therefore, any student taking a leave of absence from a program, for one calendar year or longer, may be subject to new policies or program requirements upon returning to the school. 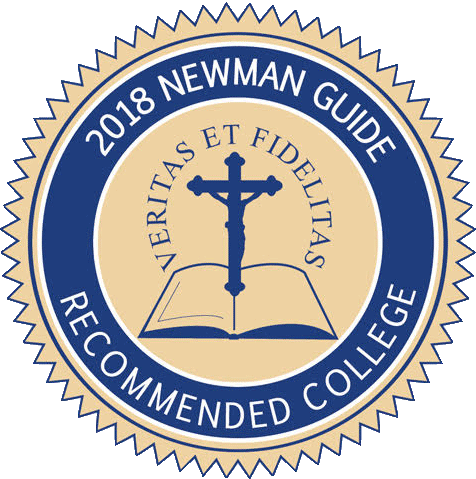 Holy Apostles accepts transfer credits from accredited colleges for all degree and certificate programs, provided the credits are in courses applicable to the particular degree program being pursued at Holy Apostles. Acceptance of transfer credits is at the discretion of the Academic Dean. Transfer credits are not included in the grade point average calculation but are included in the credits attempted. Direct Loans are the primary loans available and offered. The lender is the federal government. * Interest starts to accrue at time of repayment. ** Interest starts to accrue at disbursement. If you are awarded a Direct Subsidized loan, (need based), the interest is paid by the government while you are at least a half-time student in a matriculating program of study. If you are awarded a Direct Unsubsidized Loan (non-need based), you pay all the interest, although you can have the payments deferred until after graduation. However, the deferred interest is added to the principal which makes the loan more expensive over time. You are strongly encouraged to elect to pay the interest if at all possible. • The difference between the two types of loans (Subsidized and Unsubsidized) is as follows: the interest on subsidized loans is deferred while the student remains at least a half-time student (and also in periods of deferment or forbearance while in repayment) while the unsubsidized loan starts to accrue interest from the time it is disbursed by the school and does not cease to accrue interest in the repayment period. • The Origination Fee to disburse a Subsidized/Unsubsidized loan is 1.062% and for PLUS loan is 4.248% effective October 1, 2018 thru June 30, 2019. • The interest on Subsidized Direct Loans is not deferred during the six month grace period – this change took effect in July 2012. All students wishing to be considered for Federal Student Loans must fill out the federal application (FAFSA) (SCHOOL CODE 00138900). Please watch/read the Seven Easy Steps to FAFSA: A Student’s Guide to the Free Application for Federal Student Aid tutorial. This preferred method offers FAFSA applicants, and parents of dependent applicants, the option to transfer tax return information from an IRS website directly into their FAFSA. As long as this information remains unchanged after submission, federal verification is generally not required and HACS strongly encourages its’ use. New students are strongly encouraged to complete their FAFSA at least 60 days prior to the start of a new term. Returning students should have their FAFSA in to the office no later than 30 days prior to the term’s start date. When all forms and related documents have been received by the Holy Apostles Financial Aid Office, the information will be reviewed and the student will be notified of the decision via an award letter after registering. However, it is recommended that students contact the Financial Aid Office prior to the start of term. All financial aid is based on need with the exception of the Federal Unsubsidized Stafford Loan and the Federal Parent PLUS/Grad PLUS. Mandatory Entrance Loan Counseling and signing of the electronic Master Promissory Note can be accomplished electronically at https://studentloans.gov. The student’s Federal PIN # must be used. This information and more is contained within the Award Enclosure which is emailed with the student’s Award Offer. To complete these requirements, visit https://studentloans.gov and sign in with the FSA username and password you created at the time you filled out your FAFSA. Complete your Entrance Counseling online. This interview is a federal requirement and will inform you of your rights and responsibilities as a borrower under the Federal Stafford Loan Program. It does NOT SAVE and must be accomplished at one sitting of approximately 30 minutes. All funds are credited to the student account. Any credit balances are refunded to the student within the time prescribed by federal regulations. Most financial aid funds are disbursed in two equal disbursements for students enrolled in the fall and spring semesters and three equal disbursement for students enrolled in the fall, spring and summer semesters. All state grants require students to complete the Free Application for Federal Student Aid.(FAFSA). Students should check with their state’s department of education for additional application requirements and deadlines. These loans are offered by private lenders and banks to assist students in bridging the gap between college costs and traditional financial aid resources, including the Parent PLUS loan. These loans are not federally guaranteed. In general, a student must have an approved credit history. Other important factors that are considered are debt load and income. A co-signer may also be required. Terms and conditions are set by each lender and the interest rates are variable with a specified cap as opposed to federal student loans that have a lower fixed interest rate. Private loans are available up to the cost of attendance minus all other financial aid assistance. As HAC’s cost of attendance is considerably lower than all other private institutions, in part because we are a commuter school, we do not offer a list of preferred lenders. Although Holy Apostles College has no affiliation with any private lenders, we will consider certifying a loan from any lender that a borrower should choose to work with on a case-by-case basis. For information on the PLUS loan and all types of Direct loans go to https://studentloans.gov. Federal regulations require that the Return of Title IV Funds calculation be performed if any Title IV recipient withdraws from all classes prior to the end of the payment period. If a student has attended up through 60% of the payment period, the calculation will determine the earned amount of aid and any unearned aid must be returned. If a student has attended more than 60% of the payment period, s/he has earned 100% of federal aid scheduled; the Return of Title IV Funds calculation must be completed to determine if the student is eligible for a post-withdrawal disbursement. Students must complete a formal withdrawal or leave of absence process. The Business Office forwards to the Financial Aid Office the withdrawal date, date of determination and the exact amount of disbursed funds. Any funds awarded but not yet disbursed are detailed in the student’s financial aid file. The Return of Title IV calculation is performed by Financial Aid within 15 days of notification by the Business Office of a student’s withdrawal. The “Return of Title IV” (R2T4) form is used to perform the calculation, which is based on the payment period. The values of both disbursed aid and aid that could have been disbursed are included on the worksheet. The earned financial aid percentage is determined by taking the days attended in the period by the total days in the period. Subtracting earned aid from aid that was awarded and disbursed determines the amount of unearned aid that must be returned. The responsibility to repay unearned aid is shared by the College and the student in proportion to the aid each is assumed to possess. The Business Office is notified of any funds to be returned. These funds are returned to the fund source within 45 days of the date the College determined the student withdrew. Any unearned loan funds the student (or parent, in the case of a PLUS loan) is required to return are repaid in accordance with the terms of the promissory note. Unearned grant funds the student must return are classified as an overpayment. Students must repay half of the unearned amount of any grant overpayments. Effective 7/1/2006, as a result of the enactment of the Higher Education Reconciliation Act of 2005 (HERA), the student is not required to return an overpayment amount that is $50 or less. Students are notified that a Return of Title IV calculation was performed through a letter that provides an overview of the process and any changes to their award. Included with this letter are exit counseling instructions, as necessary. The letter is mailed within 30 days of the date the College determined that the student withdrew. For more information, see the Tuition Refund & Return Policy for 2018-2019. Earned aid that has not been credited to the student’s account qualifies as a special kind of late disbursement, called a post-withdrawal disbursement. The student’s (or parent’s, in the case of a Parent PLUS loan) authorization must be obtained before disbursing any loan funds. Grant funds may be disbursed to the student’s account without permission to cover the cost of current charges. Post-withdrawal grant disbursements which result in a credit balance on the student’s account require the College to notify the student that the funds are available. Both the authorization to disburse post-withdrawal loan funds and the notification of the availability of a post-withdrawal credit balance are made in writing to the student (or parent, in the case of a Parent PLUS loan). The authorization/notification includes the type and amount of the funds, the right of the student to accept or decline all or a portion of the disbursement. Also included in the authorization to disburse loan funds is an explanation that the student (or parent) is required to repay the funds in accordance with the terms of their promissory note. The notification/authorization states a deadline by which the student (or parent) must respond, or the College is not obligated to make the disbursement. Each stage of the post-withdrawal process is documented in the student’s file. Due to the fact that the College’s leave of absence policy does not fit 34 CFR 668.22(d), students are considered withdrawn and a Return of Title IV calculation is performed.